It’s easy for the message of today’s churches to get lost in the hustle and bustle of life. As some of the most information intensive organizations on earth, it’s important that what you have to say doesn’t get forgotten. 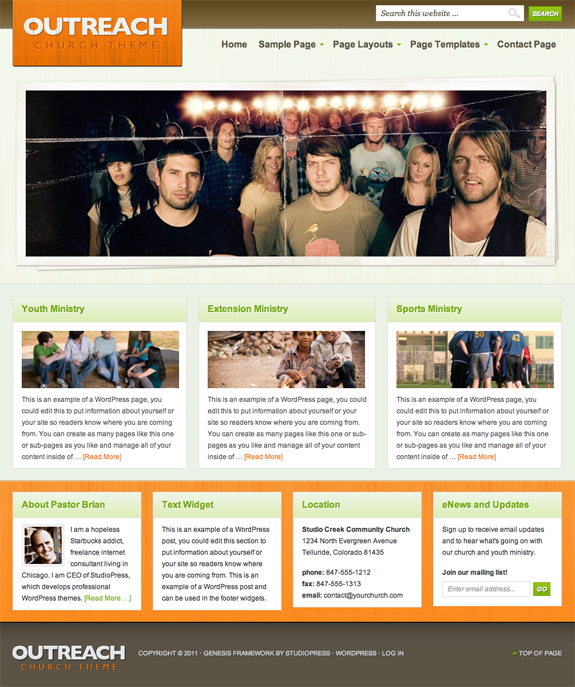 Outreach premium theme is a spectacular layout that provides you with the framework you want so you can give your congregation the message they need. Additionally, all StudioPress themes feature the powerful Genesis Framework. This allows users to separate design and aesthetics from their core code so that search engine rankings aren’t hurt when you change the look of your site!